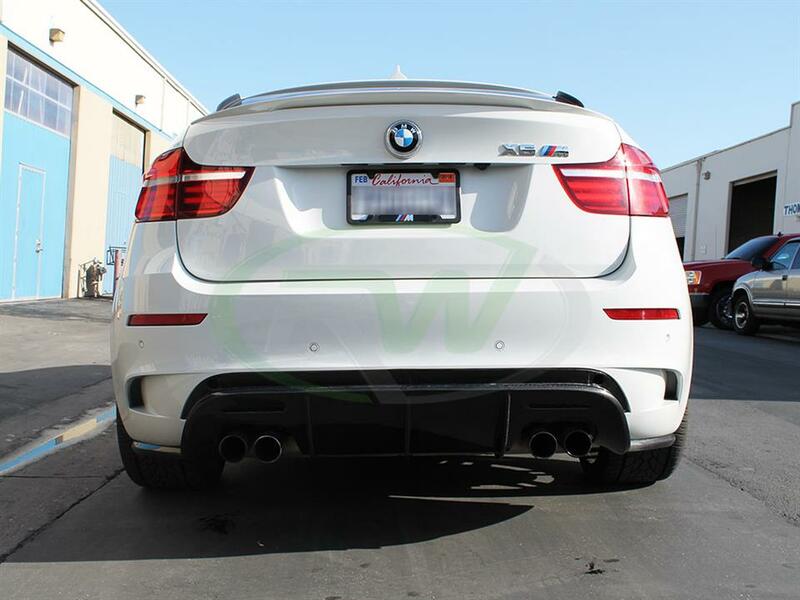 Give your X6M the most aggressive look possible with this DTM carbon fiber rear diffuser. 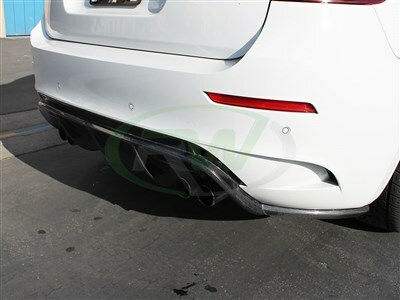 This diffuser features real carbon fiber weave and is completed with a nice clearcoat to ensure no fading or discoloring occurs, even after years of use. 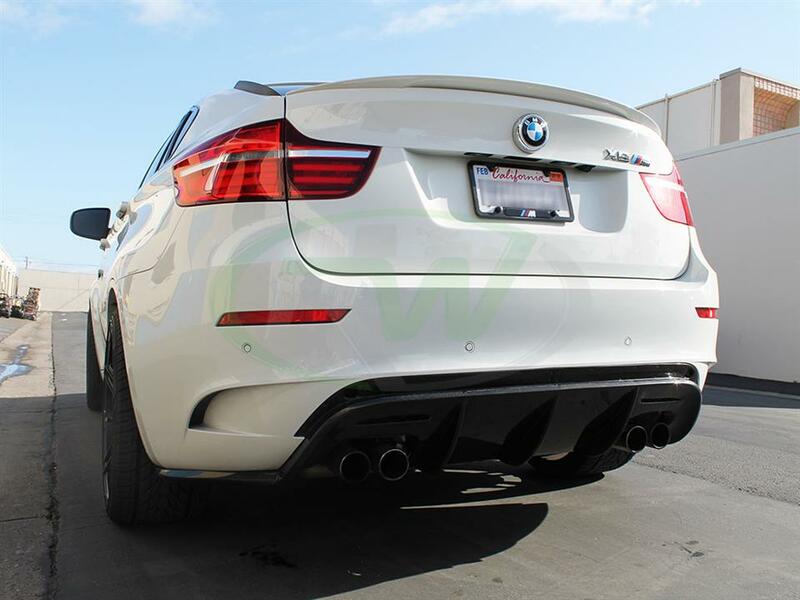 This diffuser will fit all 2010-2014 BMW X6M applications. Professional installation for this piece is absolutely required. Due to the sheer size of this piece, local pickup in Southern California is highly prefered, please contact us if you would like to come pick this piece up. This carbon fiber diffuser for the BMW E71 X6M is very large and requires professional installation. You will need to use self taping screws for the ends of the diffuser. 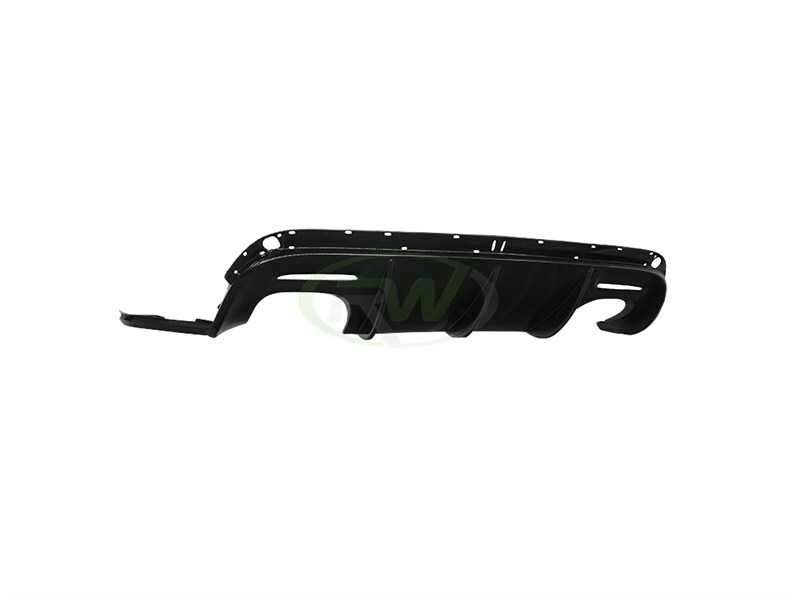 We know there are many companies out there claiming to have the best carbon fiber upgrades. At RW Carbon we take the time to quality control every item that ships from our warehouse. When you order from many companies online they are shipping a product straight from overseas that has not been quality controlled. 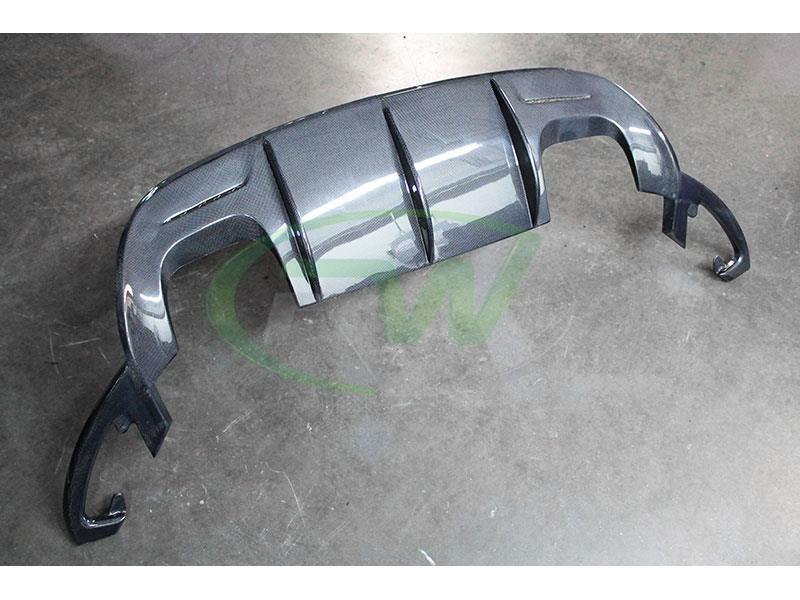 If you order one of these parts you could receive a product that is damaged, has scratches in the clearcoat, or overall poor carbon fiber construction. By choosing RW Carbon we make the promise to deliver you a consistent, quality product that is shipped from our Southern California location. 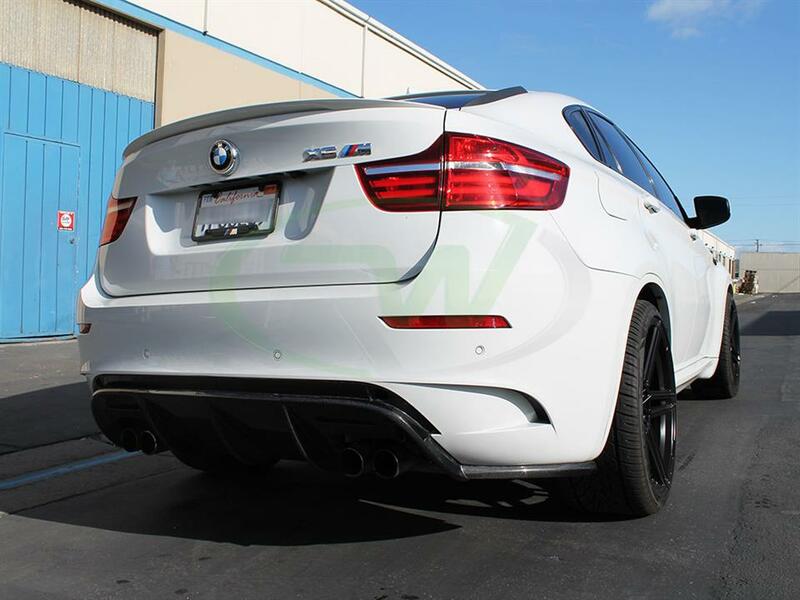 Additionally, all products shipping from our warehouse are meticulously inspected, and packaged to ensure you receive the best possible carbon fiber item for your BMW X6M.